Wedding invitations vintage in style, in grey and white coming with big, grey envelopes and a white felt board with emboss retro details on its back. An impressive range with a romantic touch. 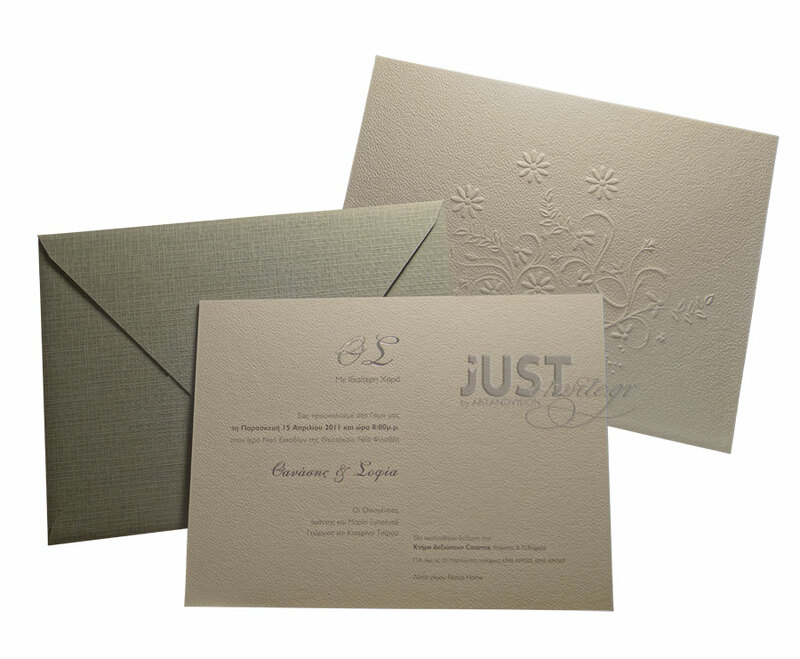 This stationery also comes with white, ivory and tiffany’s blue envelopes (the price depending on the colour of the envelope).Your personalised wording is printed in grey foil. Size: 20 x 27 cm. https://www.preciousandpretty.com/2017/10/vintage-wedding-invitations-A1220.html Greek Wedding Favors|Orthodox Crowns|Stefana|Baptism Invitations Vintage wedding invitations A1220 Wedding invitations, vintage in style, with a romantic touch. Product #: Greek Wedding Favors|Orthodox Crowns|Stefana|Baptism Invitations_786437938393558820 5 stars out of 5 reviews.